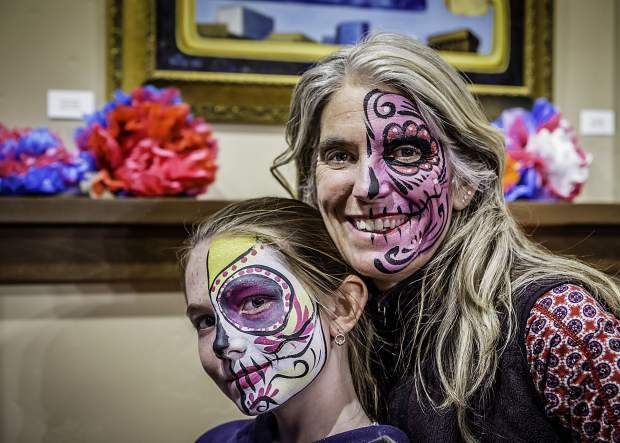 Local mother and daughter duo Maura Murphy and Nieve Nelson with their faces painted to celebrate Dia de los Muertos. 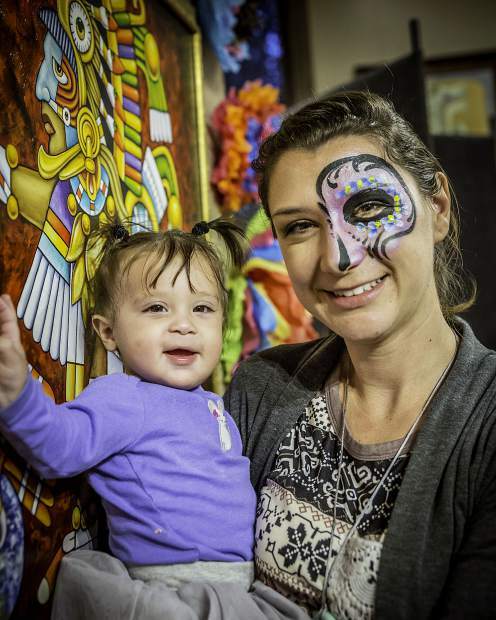 Newlywed Becca Spiro checks out her Dia de los Muertos look. 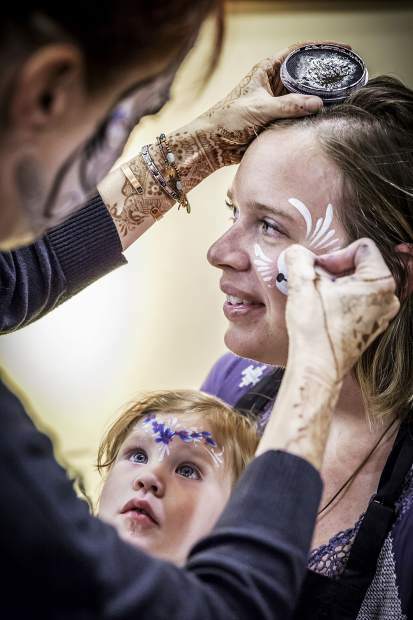 Rhein Weisel watches carefully as Leah Reddell of Face Fiesta paints her mother's face. Audrey Milano is all smiles at her mom Jeanine's new look. 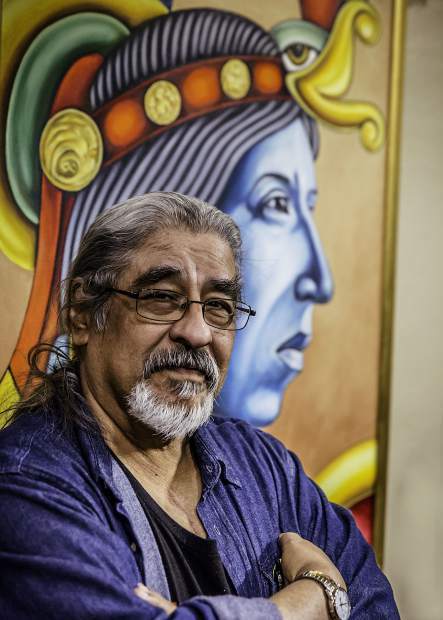 Artist Stevon Lucero stands with one of his paintings, which re-visions images of Pre-Columbian Mexico into new vibrant paintings of power and depth. 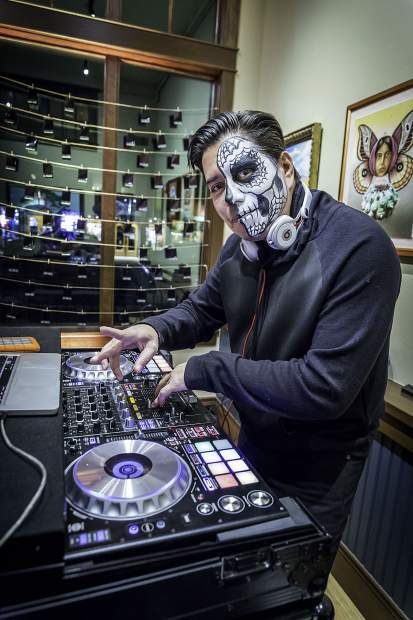 Local DJ, DJ Erick, kept the Latin tunes spinning throughout the evening. 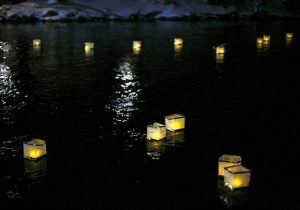 Day of the Dead celebration. 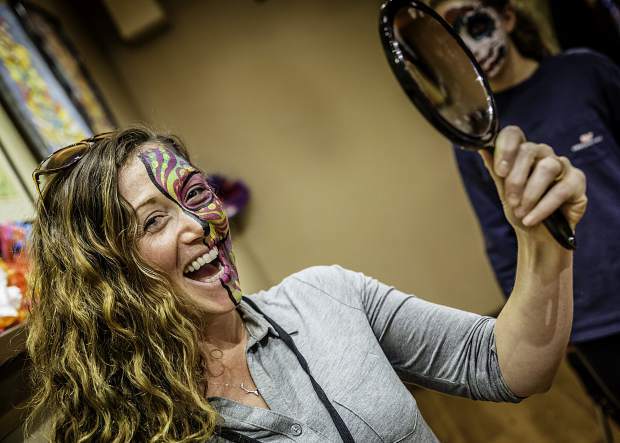 The face painting booths were the favorite attraction for many. 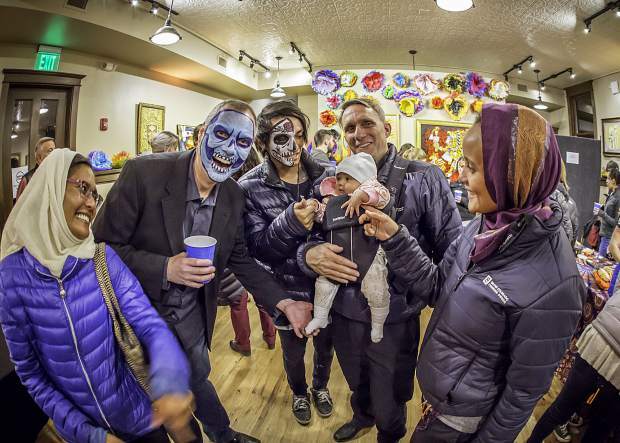 The annual Día de los Muertos celebration kicked off on Friday evening in Breckenridge with a free reception that included face painting, Mexican food, a DJ spinning Latin tunes and artists on hand to meet and greet the public. 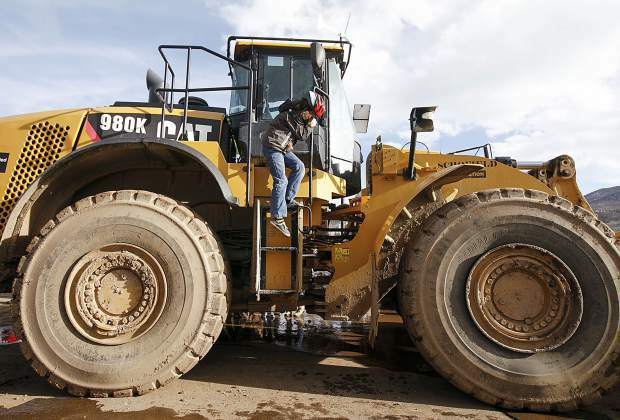 Both locals and visitors were in attendance and enjoyed the festivities with an abundance of smiles and giggles. 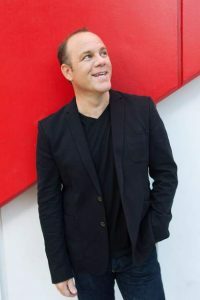 The exhibition provided an opportunity to learn more about the holiday and participate in a variety of cultural activities, all of which were free. 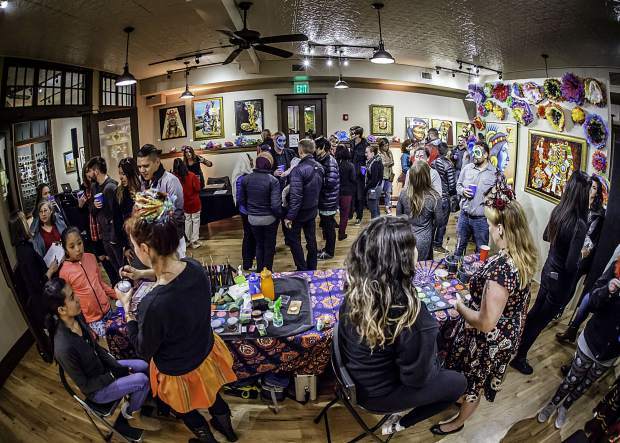 The celebration was hosted by Breck Create and continued with free music, exhibitions and crafts through Sunday. 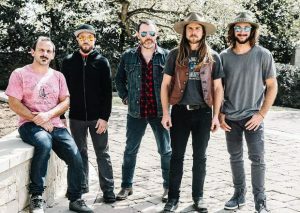 The festivities closed out with the band Jarabe Mexicano performing a free concert at the Riverwalk Center.